Agoura Hills is a bustling city located in the north western part of Los Angeles-the heart of the filming world. This is definitely one of the most attractive places in the world with beautiful houses. Like other parts of the world, this region has houses with gutters-an important part of a house that demands seasonal cleaning and repairs. Are you planning to finally clean those gutters that have been causing trouble for a long time? Usually, gutter cleaning in Agoura Hills is done twice a year, during the fall and spring. Keeping your gutters in good shape can be stressful for some people. Since the gutters come in various types, they need to be cleaned by different maintenance procedures. What are the benefits of gutter cleaning in Agoura Hills? Protects the landscape by preventing water from washing off your favorite plants and grass. 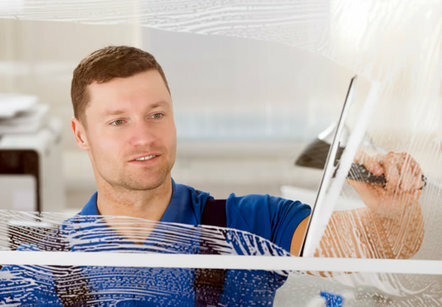 Saves you from shelling out thousands of dollars on major maintenance work. To clean your gutter, you will need to climb up with a ladder but make sure that you don't put the ladder directly on the gutter as it might get damaged this way. You will find gutters that come with ladder attachment system on them so you can adjust the ladder without doing any harm to it. For safety issues, make sure the ladder is stable, stands on a hard surface and leans against a solid hard background. You have to remove dirt and debris during gutter cleaning in Agoura Hills. This process is better done when wearing rubber gloves. Gloves will protect your hands from accidental cuts from the sharp objects on the roof and also keeps your hand protected from the heat of the roof if you are cleaning on a hot day. If it has rained for some time or you have a tree near your house, expect to find a lot of dust, leaves and pollen specs in the gutter. A mask will protect you from inhaling all these component that could lead to lungs infection. Additionally, wear some safety glasses to prevent influx of dust in your eyes. You can use a hose that is specially designed to clean the nooks and corners places that are usually difficult to reach. The flow of the water from the hose will wash down the dirt and debris from these places and hence clean the gutters more efficiently. Though gutter cleaning in Agoura Hills is easy and you can do it by yourself, most people don't have sufficient time for that. So, if you are not up to the task, feel free to give the best professionals a call to get the job done for you. We also offer professional window washing in Agoura Hills, which we can do at the same time we clean your gutters for a discounted price.